The Mexican-born director of “Gravity” and “Children of Men” says this while sitting on a couch in the TIFF Bell Lightbox, headquarters of the Toronto International Film Festival. A fourth-floor gallery in the Lightbox has been turned into a tribute to Cuaron’s exquisite “Roma,” which is based on memories of his childhood growing up in a suburb of Mexico City. And the objects that surround him, from paintings to record albums to children’s games, are things he remembers from childhood and used in the film. But he went further than simply filling the frame with his own memories, Cuaron tells TheWrap in an interview that takes place while his film is having its triumphant Toronto premiere a block away. Every set on the film, he says, was filled with the things that really would have been there. And did anybody say to him, “Alfonso, you’re nuts – we’re never going to open the drawer”? But with a project so consumed with replicating Cuaron’s own childhood memories, was he confident that “Roma” would connect with viewers who have none of his memories? “Not at all,” he says. “I just knew that I had to do it. “This was the historical moment that I can do it. I had the resources after the economic success of ‘Gravity’ – I could raise the money to do things this way. But more important, emotionally I was ready and there was a need. You don’t choose projects, they choose you. And once there was this need of doing this film, you go for it. 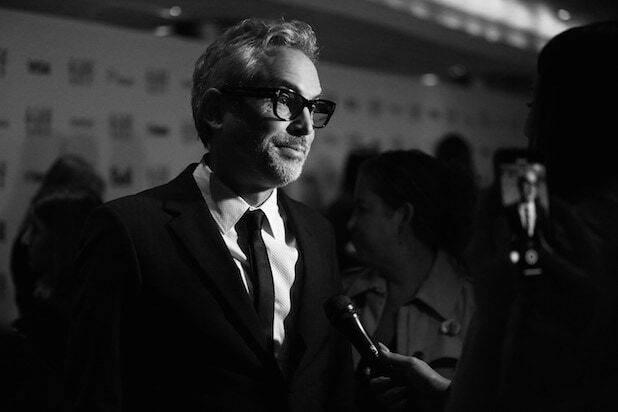 But the Netflix release “Roma,” a black-and-white gem that is also a love letter to the nanny who helped raise Cuaron and his siblings, and who became part of the family, has connected strongly in its festival premieres. In Venice, it won the Golden Lion as the festival’s best film, before heading to Telluride and Toronto and winning additional raves. “It has been an amazing surprise to see the reaction that people are having to the film,” Cuaron says. “Yes, critics have been fantastic, but you see people from different cultures that come out crying, they feel so connected.